I’m back from the ACFW conference in Nashville, TN. What a whirlwind! I’m not sure if my head has stopped spinning yet. I’ll write more about my experiences there later, but first, I need to let you in on a secret. I couldn’t say anything about it until now. 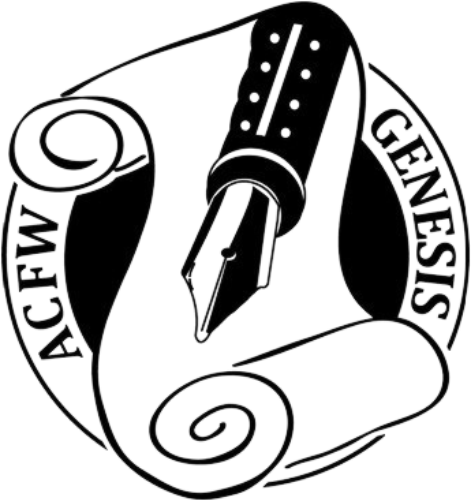 Back in March, I entered an ACFW contest called “Genesis.” It’s for unpublished writers. I had to send in a brief synopsis and the first 15 pages of my manuscript. There were 10 categories, and my category was Romantic Suspense. Why enter contests? There are a couple of reasons. One, you get great feedback. Your entry is judged by published authors. The judging is “blind,” meaning, you don’t know who the judges are, and they don’t know who you are. The advantage is that you get honest, unbiased responses to your writing. Another reason is that if you make it to the latter rounds, you can get judged by editors and agents. This is a great way to get industry feedback. Is your story “marketable”? Would someone be interested enough to publish it? Plus, being listed as a finalist gets your name out there. You get noticed by those in the industry. So, I entered, hoping for some good feedback. And then I forgot about it. Went on about my business. Focused on getting ready for the Blue Ridge conference in May. The week before I went to Blue Ridge, I got a phone call. It was on a Wednesday night. I was settled on the couch, eating supper and watching TV. I didn’t recognize the number but the caller left a message. So I listened. It was a lady from ACFW who was calling to tell me that I had made it past the first round of judging and was now a “semi-finalist!” Wow! I was blown away. Honestly, I had forgotten about the contest. As I said, I was hoping for some good feedback, and that was pretty much it. I never thought I would be a semi-finalist. In fact, I had to go back to the contest website to understand what being a semi-finalist actually meant. Our entries now went on to the next round of judges. If we made it past that round, they would let us know before June 15th, when they would announce the 3 finalists on their website. That was about 6 weeks away. 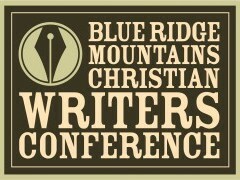 I put it out of my mind, concentrated on the Blue Ridge conference, went, and had a great time. But as June 15th got closer, my mind drifted back to the contest. I was sure I wouldn’t go any farther. After all, I was up against 6 other authors who had risen above the hundreds who had entered the contest. It was probably some strange fluke that I had even made it that far. On June 14th, I hadn’t heard anything yet. So, I didn’t make it. No worries. I mean, I never even thought I would make it to the semi-finals. Even that was totally cool and unexpected. I left work that evening and went home, taught piano like usual, and then settled down in front of the TV to eat supper. With a shaking hand, I answered. The sweet voice of my coordinator came on to tell me that I was a finalist! Top 3 in my category! She instructed me that I would receive an email that night with my feedback from the first 2 rounds of judging, and that I would have 48 hours to make any changes to my entry and send it back to them. I couldn’t believe it. I actually wished I hadn’t answered the phone so she would’ve left a message so that I could play it back again and again to make sure it was real. And that I really had heard her right. I got my feedback, went through it, and decided what changes I needed to make. I updated my entry and sent it back in. After that, there was nothing left to do. This round would go to 3 judges who were editors and/or agents. I wouldn’t hear anything else until they announced the winners at the Awards Gala during the conference in August. This blog post is already getting so long, so I’m going to continue the story later as I recap each day of the conference. Tune in soon to hear the rest of the story!